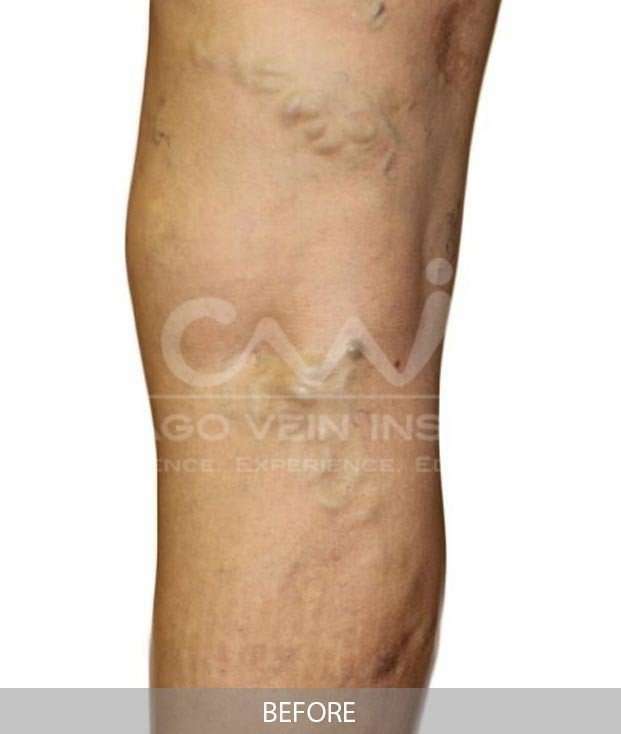 A varicose vein is a blood vessel noticeable under the skin. It often looks like a knotty, twisted cord and appears mostly on the legs and feet. There are numerous causes for varicose veins. Everything from heredity, obesity, and pregnancy play a part in developing this vein disorder. It is a chronic condition, so once you experience problems with varicose veins, there is always the chance of it reoccurring, even after varicose veins treatment. At Chicago Vein Institute, our doctors and staff specialize in helping patients choose the right treatment to fix their vein disorder. We start with an ultrasound to provide a descriptive look at your veins, helping us pinpoint the source of the problem and create a treatment plan. Compression stockings, custom fit for your body, are the first line of defense for slowing the progression of varicose veins. First, we should treat the cause of the varicose veins. Most likely, your varicose veins are related to the major venous system. This can be treated with endovenous laser ablation (ELA). Depending on the progression of the vein disease, other treatments may need to be implemented, including sclerotherapy and/or phlebectomy. When this happens, you should feel a significant relief in symptoms, improving your quality of life. Varicose veins are more than a mild annoyance and need specialized varicose vein treatment. They can be a symptom of an underlying medical condition called venous insufficiency. By age 60, this disorder affects about 70% of women and 40% of men. Left untreated, the problem will worsen and it can cause a chronic condition that requires medical attention. Treat varicose veins now before they get worse. Turn to Chicago Vein Institute and highly-trained, board-certified phlebologist Dr. Mensur O. Sunje. Dr. Sunje uses the latest, most effective procedures to treat varicose veins safely and successfully. Plus, varicose vein procedures are typically covered by most insurance plans if they are caused by an underlying medical condition.